We are excited to begin offering neighbors and community members a new way to source our vegetables and engage with the farm. Beginning in May, come by the farm for our weekly, on-farm market. Fridays from 4:00-7:00 outside our packing shed. What will we have, and when? Click for our produce availability. You’ll be able to choose from a wide variety of certified organic veggies and herbs, most picked less than 36 hours prior to the market. That’s probably a week fresher than most of produce you’ll find at a conventional grocery store!We sell most items by-the-pound, so you’re able to choose just want you want, whether it’s one tomato or a bushel. Click here for our produce availability chart. We do our best to make our produce affordable and accessible to all wanting to eat fresh, clean food. At all of our markets, we keep our prices competitive with (and often lower than) what you’d pay for organic produce in grocery stores and food co-ops. And to thank you for coming to the farm (rather than us bring our veggies to St. Paul or another location) we’ll be offering discounted prices at the on-farm market here in Cannon Falls. We accept cash, check, and credit cards at the market. 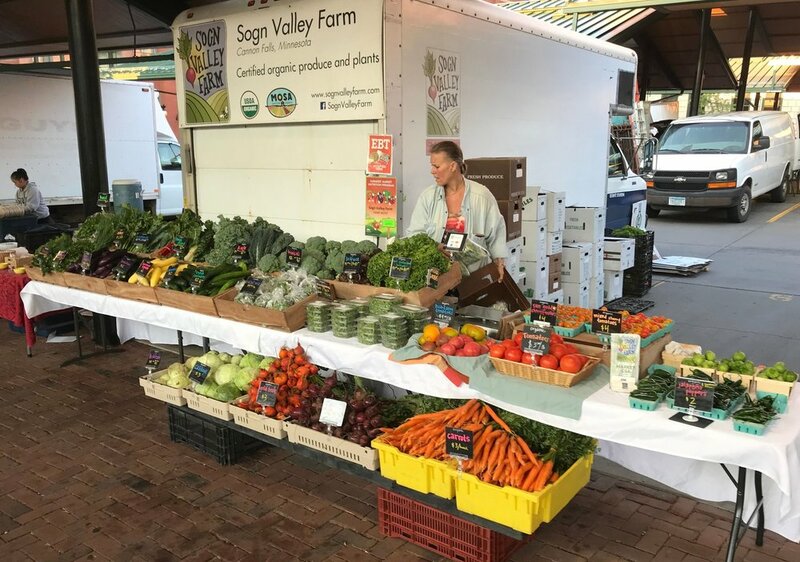 If you expect to attend regularly, consider purchasing a Market CSA card, which at its most basic level is a pre-purchased market credit that is redeemed as you buy veggies throughout the season. What to stay in the loop on farm market news?